Welcome to Changeban! The Agendashift Slack has a #changeban channel, and it's easily the best place to get any Changeban-related questions answered. 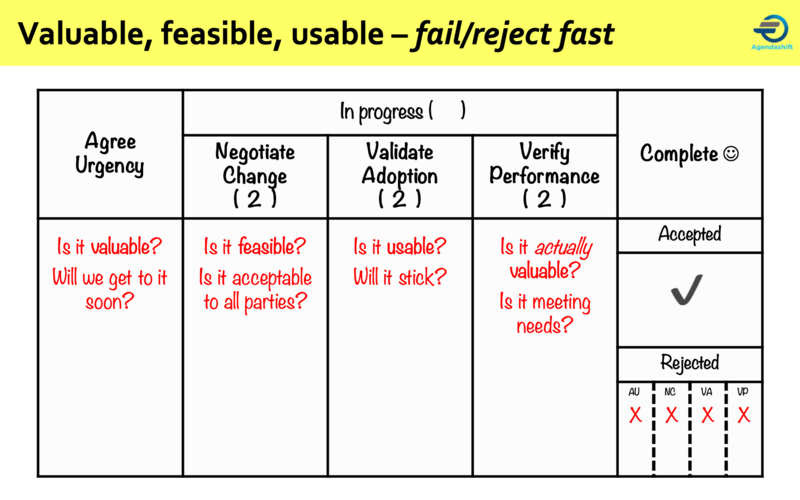 Meanwhile, if you're thinking of facilitating a Changeban game, please read this page carefully. Changeban is currently at version 1.0, November 2018. 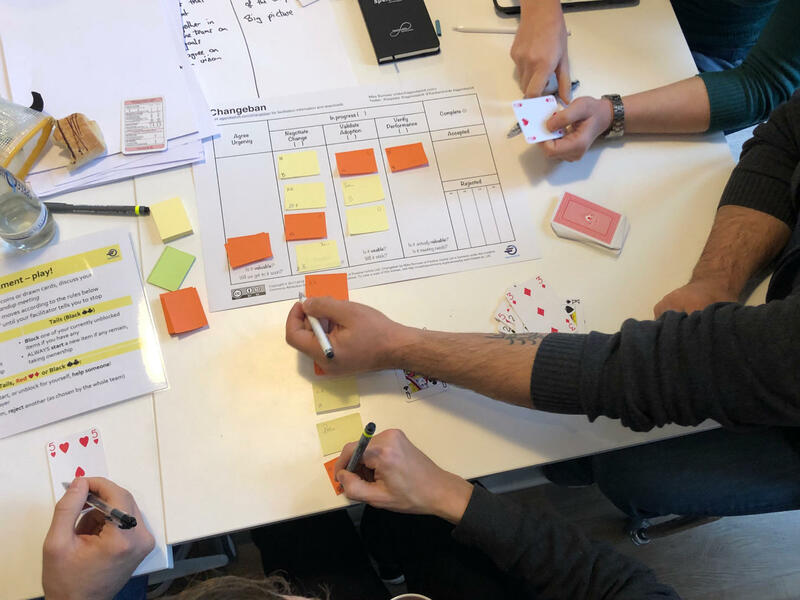 Changeban is a Lean Startup-flavoured Kanban simulation game. It is based on our classic game Featureban, with easier mechanics and a Lean Startup-inspired board design, and some different learning objectives. Participants can practice this kind of framing for both product ideas (eg features) and improvement ideas. 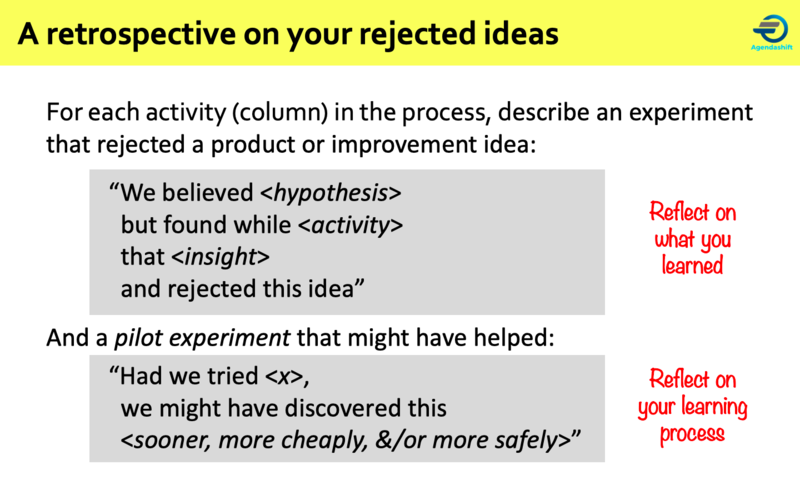 In the above, <activity> refers to the stage in the process at which the experiment was rejected; the game encourages rejection to be seen as an active and positive decision. There isn't a video for Changeban yet, but you'll find the Featureban video helpful. Optional: A board printed on A3 card. You could use a hand-drawn board on A3 or flipchart paper instead but printed card is definitely nicer. Download the PDF here or sign up (below) and get the .pptx file for customisation or translation. Small stickies in two colours. I use 51mm x 38mm, standard yellow in combination with whatever else I have in my equipment bag. Optional: laminated rules – I got the slides with the rules for iterations 1 & 2 printed double-sided and laminated. Note that the rules are now a little less wordy than the ones in the picture. Currently, all materials are available only in English. Translations and adaptations are of course very welcome – Featureban has several! Plan for teams of 4 or so people. Experience before explanation! Let people discover things for things for themselves; your job is to help consolidate their learning afterwards in the debriefs. Please resist any temptation to kick off with teaching — you might believe it is necessary, but trust me, the learning experience will be less effective as well as a lot less fun. Don't let players think that they should take it in turns to move. In the standup meeting, they tell each other what cards they have drawn and discuss what moves they plan to make. They won't get much benefit from the discussion in iteration 1 but should realise in iteration 2 that they can coordinate their moves to good effect. It's a good idea to practice the first "day" or two together. The rules for red and black cards are different but in day 1 of iteration 1 the net effect is the same. The beginning of iteration 2 is made more interesting by the WIP limits. Be ready to interrupt iteration 1 for a quick discussion as soon as your quickest team has completed an item or two. Most teams will have lots of WIP in the second column. Some useful phrases to use: “All starting and no finishing” and “Lots of activity, little delivery”. Unlike Featureban, the iteration continues after the interruption (usually until all stickies are completed, although it's ok to timebox each iteration for 20-25 minutes if you wish). It should be clear before playing iteration 2 that the only rule change (or "policy" change, if you prefer) has been the introduction of the WIP limit. In debriefs, I’m careful not to use the word “collaboration” myself until participants make the key observation that this has improved significantly. Gentle nudges may be required from the facilitator before this comes out, but be patient, it usually does without help! For the most up-to-date information, go to the #changeban channel in the Agendashift Slack. Any formal announcements will be published on the Agendashift blog and posted to the Agendashift LinkedIn group. News of major new versions will be emailed to registered users. For the full history of Changeban-related updates, check out blog posts tagged 'changeban'. Changeban by Mike Burrows of Positive Incline Ltd is licensed under the Creative Commons Attribution-ShareAlike 4.0 International License. To view a copy of this license, visit https://creativecommons.org/licenses/by-sa/4.0/. Agendashift™ is brought to you by Positive Incline Ltd, UK-based specialists in Lean-Agile transformation. 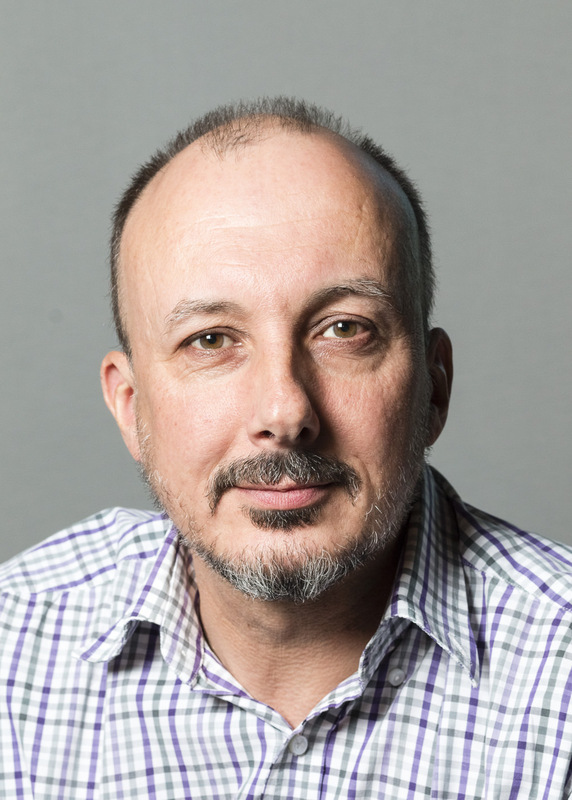 Founder Mike Burrows pioneered the values model for the Kanban Method that led to his definitive book, Kanban from the Inside. 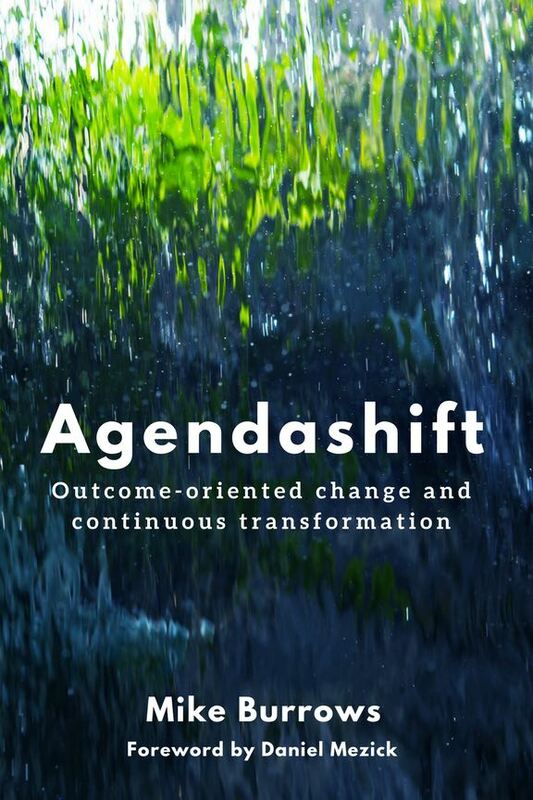 His new book Agendashift: Outcome-oriented change and continuous transformation was published in April 2018.